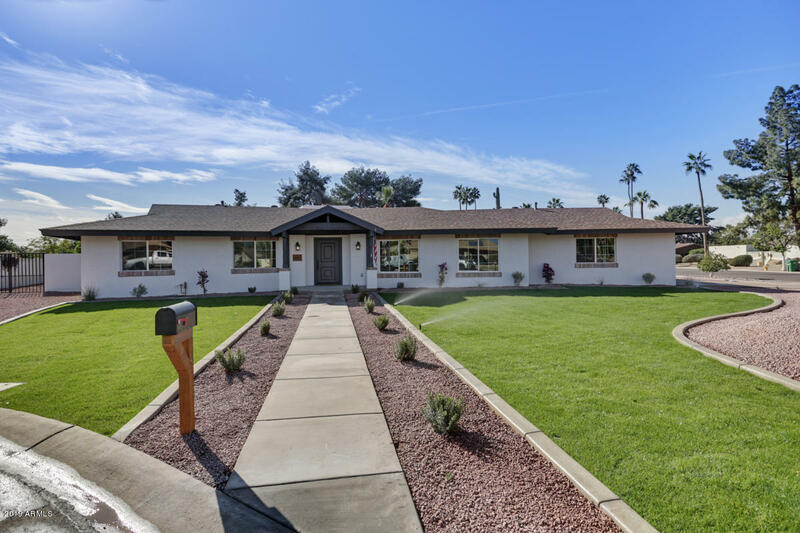 Recently completed (2/6/19) remodeled home ''inside the park'' with thoughtful design, quality craftsmanship, additional square feet built, stunning custom finishes, and all new plumbing, electrical, mechanical, etc. On a large oversized lot and a cul de sac. The ranch home boasts an inviting foyer with vaulted ceilings and charming details throughout. The split floor plan of 4 bedrooms, 3.5 baths with open kitchen / great room with coffered ceilings and beautiful wide plank hardwood floors. Kitchen features custom cabinetry w/ gas range, quartz countertops, custom island with farm sink and large pantry. The new addition is an amazing new master suite w/ large walk in closet, large master bath with dual sinks, free standing tub and subway tile.